Many people undergo cosmetic or plastic surgery, but there is often a stigma about associating their name with it. It is such a personal decision and is often life changing, but because it affects our own bodies we do not like to discuss it. 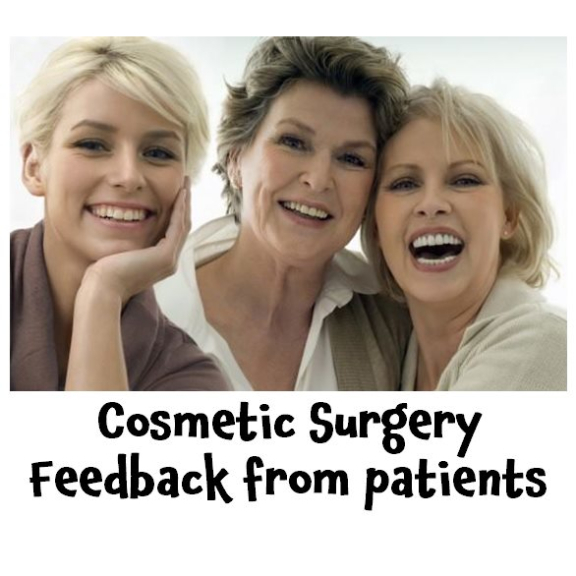 But if you are considering cosmetic surgery – would you not like to know how others have felt about the service they received? The Wilson Clinic in Epsom has an excellent reputation, and the skills of surgeon Geoffrey Wilson are highly respected – but how do you know? Here are just some of the feedback comments The Wilson Clinic have received. All these details are kept on their records – but for privacy reasons the actual names of the clients are not publicised. "A kind and understanding Professional, who tells it as it is. His great results are life changing." “Mr Wilson and his team were personally recommended to me. I can honestly say that from the minute I met them I felt very at ease and under no pressure what so ever. Everything was explained to me thoroughly and I was encouraged to ask as many questions as I so wished. Even in between appointments any questions I had were answered without any issues. It was apparent that my welfare was of high importance as opposed to winning a client. The team are so professional. I was very nervous on the day of surgery. Elaine accompanied me to the theatre to make sure I was ok which was so lovely. I am delighted with my results ! Just what I wanted. Everything looks so natural, you would never know !!. The aftercare was brilliant. Thank you so much once again to Mr Wilson and Elaine. I am so happy. If you wish to discuss any element of cosmetic or plastic surgery, give the friendly team at The Wilson Clinic a call. They’ll be happy to help.